When you’re the third boy to be born in your family, you’re pretty much set. Clothes, toys…they’re all there ready for you to discover. The only trouble is, your brothers are way ahead of you and trying to join in with Batman games is difficult – and you can’t touch the tiny toys they seem to collect in case you decide they look quite tasty. It’s all a bit boring until mommy takes you shopping for some baby boy toys to bring home. When you do bring them home, those big brothers who didn’t want you to get your fingers on their precious toys are very interested in what your new toys can do. Soon your chunky, pull back car becomes a getaway vehicle for the Joker and the Riddler, and you’re out of the loop again. Just like Batman, every hero needs a Batcave – or a toy box. This week the Great Little Trading Company sent our own Hero a gorgeous, solid storage stool for him to keep his favourite playthings. It’s sturdy, can be used as a stool, has handles at the sides for mommy to carry it up and down the stairs, and it’s beautifully made with no splintery bits sticking out anywhere. Mommy is as smitten as Hero with it. 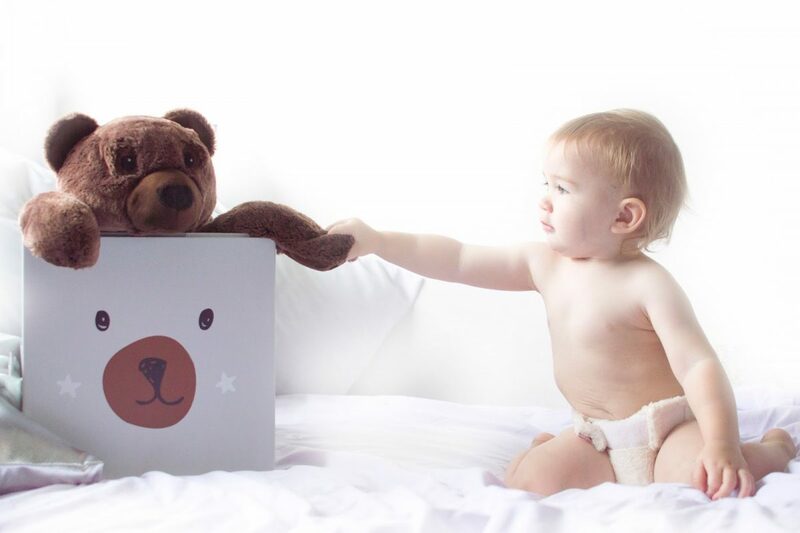 Inside this beautiful bear storage box lie treasures indeed – George Pig’s Dinosaur, My Beatbo…and a lollipop. It’s a little empty but we know that Father Christmas, who visits good little boys and girls, will soon be on his way to fill it up.